The Indonesian healthcare system is undergoing a major change. With the recent introduction of a universal health insurance program, more Indonesians can get heavily subsidized treatment when they use their local clinics. However, the system is struggling to cope, given the lack of computerization. 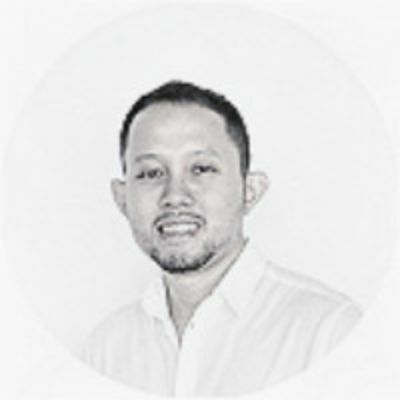 Medigo Indonesia (not to be confused with a German medical travel startup of the same name) wants to change that with their online outpatient care and patient relationship management platform. Healthcare records can then be standardized, stored safely, and easily transferred between entities within the same group. Their solution also includes an app for patients and an integrated healthcare gateway linking hospital systems to their partners, such as insurance companies and pharmaceutical suppliers. Last month, it piloted its system in two state-owned hospitals managed by the state energy firm Pertamina and over 100 clinics, in the Greater Jakarta area. It plans to expand to 10 hospitals, 500 clinics this year, which it expects to translate into 3 million doctor-patient interactions. Medigo was founded in May 2018 by Harya Bimo, Eriza Hanif and Faizal Rahman, who were former colleagues at a digital services company. Bimo created Medigo after a difficult personal experience. After his mother was diagnosed with a brain tumor, he had spent the past few years taking care of her before she passed away last year. During that time, he experienced first-hand the difficulties of navigating Indonesia's healthcare system. "We had to manually make phone calls for everything, including the ambulance service, and had to meticulously plan our schedules around these appointments," Bimo told CompassList. Even today, many hospitals in Indonesia are unable or reluctant to digitize their operations despite the efficiency that digital systems can bring. Record-keeping standards can differ greatly between different hospitals and clinics (or even within the same facility), and insurance claim processes can be so slow that poorer patients end up not receiving critical care. Patient referrals are also tricky, because current laws have not set standards for data-sharing between hospitals. Keeping track of the different medications and treatments prescribed proved particularly challenging for Bimo. The hospitals did not provide an easy way to collate all the data, so his family used a WhatsApp messaging group as an ad hoc database for the medical records. "I didn't want other people to experience the same difficulties as I had, and so I looked for a way to use my experience in digital agency work to create a solution," Bimo said. Two major aims of Medigo's outpatient management platform are standardization and interoperability. Doctors and hospital administrators can record patient data on Medigo using a prescribed standard that is easier to enforce and correct than filling in hardcopy forms. If the patient is transferred to another hospital within the same group, their records can be easily sent to the new hospital. An upcoming patient-side app will allow customers to access their own records, book appointments, and make insurance claims. Medigo has also released a management SaaS for smaller clinics. 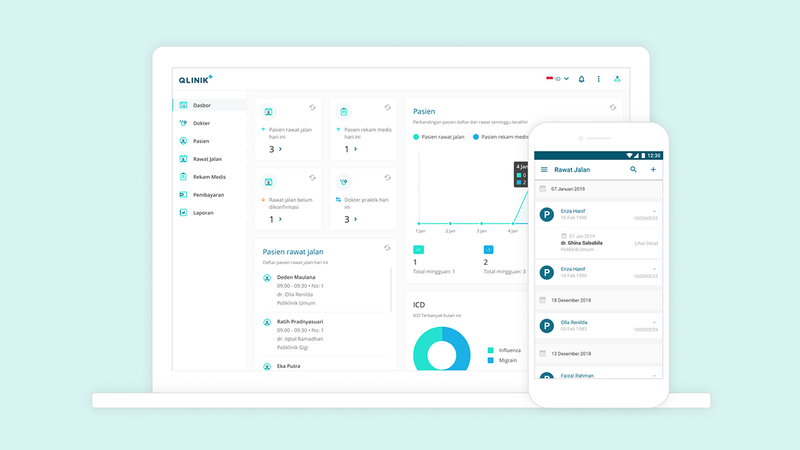 Simply named Qlinik, the software helps administrators input and store patient records, keeps track of inventory, and even includes integration with point-of-sale systems. 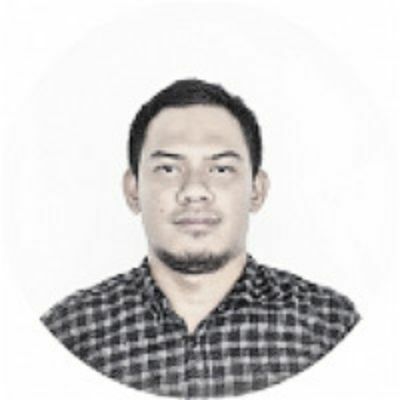 Qlinik users are charged a subscription fee of IDR 399,000 a month. 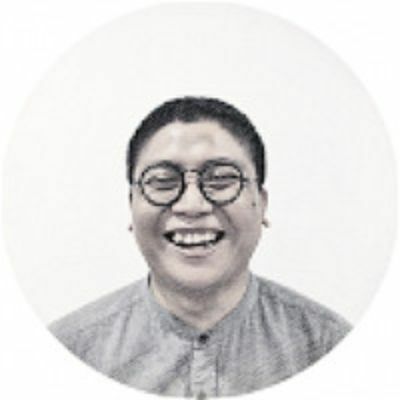 After receiving financing from Venturra Discovery, a newly created seed fund by Venturra Capital, last September, Medigo wants to expand beyond the Greater Jakarta region. They are also exploring new features that would help healthcare professionals. "Many doctors are still not used to inputting medical records using computers," Bimo said. "We might explore technologies like speech recognition to help them make patient records using computers." The startup is also expanding its capabilities in managing insurance claims, payments and pharmaceutical inventories. For a start, they are already working with fellow healthcare startup ProSehat to help clinics manage their inventory. "The data can be useful to both clinics operating their own pharmacies, or even to suppliers who want to get an idea about their product's demand and optimize production lines," Rahman said. 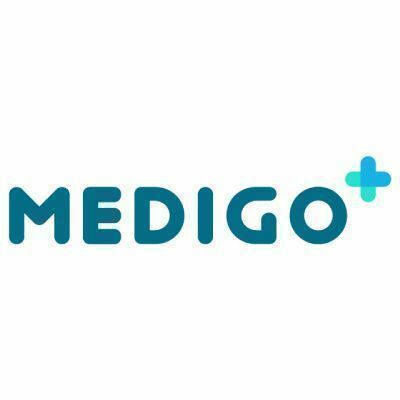 For all their plans, however, Medigo may face some major hurdles, most of them relating to regulation. Under current legislation, hospitals and clinics are responsible for storing medical records and can be held criminally liable if the data were leaked. "Due to these rules, hospitals and clinics are very hesitant to collaborate with companies that can manage patient data," Bimo said. "Worse, these regulations have not clearly covered electronic medical records." As a result, many hospitals and clinics still keep physical printouts of patient records, even when they can have the information securely saved in digital form. "This is the opposite of other industries, where people digitize their records and reduce printouts to save costs and space," Rahman said. To get greater clarity and support, Medigo has requested a meeting with the Ministry of Health. In the meantime, they are working with local Public Health Offices (which report to the regional government) and the Ministry of Communication and Informatics to promote the digitalization of hospital data workflow. 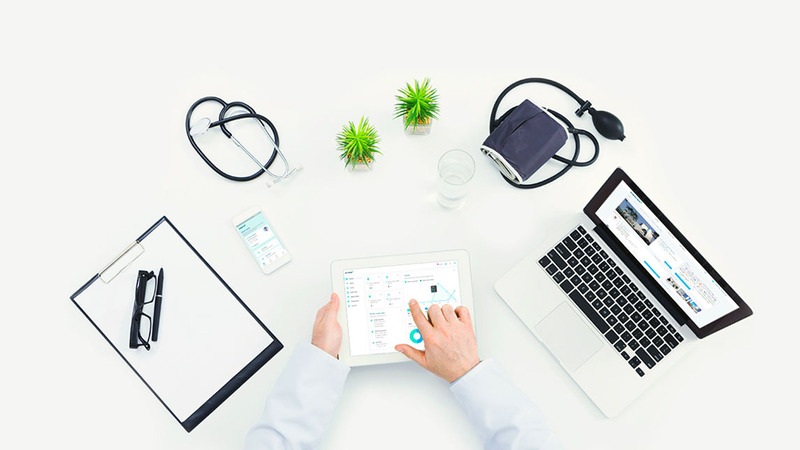 "Medigo is the bridge that can connect certain aspects of the [healthcare] ecosystem," Bimo said.